This recipe is the ultimate when it comes to homemade vegan ice creams that defy reason. It pairs vegan cookie dough with vegan coconut ice cream into a delicious and creamy treat that is perfect for a hot day. Feel free to use store-bought vegan cookie dough or another favorite homemade vegan cookie dough of your choosing. You can prepare both the cookie dough and the coconut milk ice cream mixture the night before serving, and then mix everything in your ice cream maker the following day for a quick treat. Prepare the cookie dough. In a medium-size mixing bowl using an electric hand mixer, cream together the margarine and sugar until smooth. Add the salt, vanilla, and soy milk, and mix again until smooth. Add in the flour and mix until the dough just comes together, adding a little extra soy milk or other dairy-free milk a tablespoon at a time if necessary. Divide the dough in half. Wrap one half in plastic wrap and place in the freezer, and wrap the other in plastic wrap and place in the refrigerator. Let both chill overnight. Make the ice cream. In a large mixing bowl, mix together the coconut milk, cane sugar, vanilla, and salt until the sugar is dissolved. Pour the coconut milk mixture into the bowl of an ice cream maker, along with the refrigerated portion of cookie dough. When the machine is finished or has just a minute or so left, add the frozen cookie dough in pieces to the ice cream and stir just to distribute. Pour into a 2-quart glass container in the freezer for 2 hours or until firm. 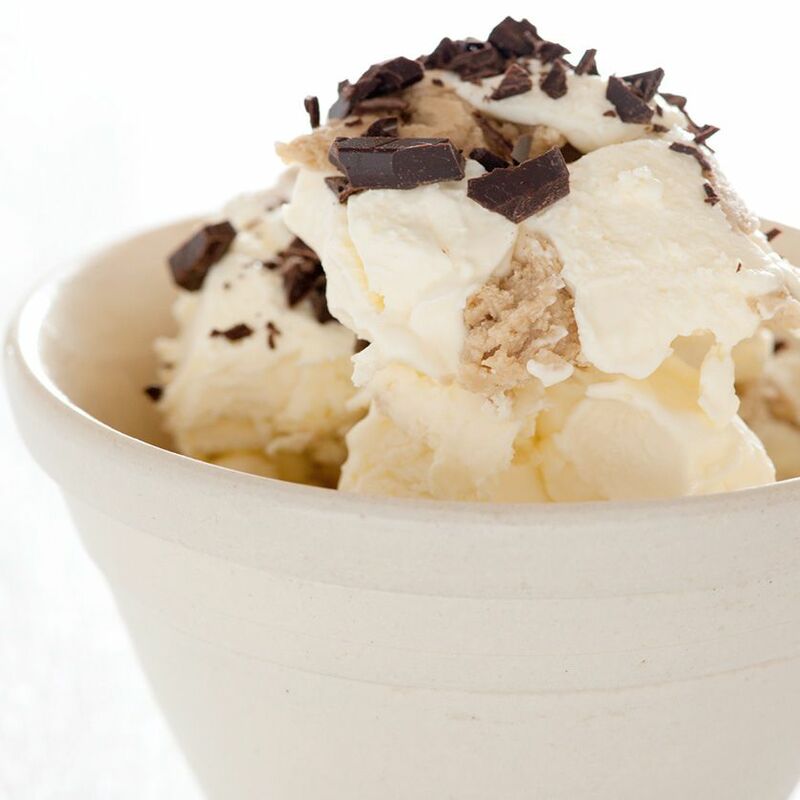 Allow ice cream to thaw for 5 to 10 minutes before serving, and serve cold! Ice cream will keep in an airtight container in the freezer for several weeks.